Cool News Day: Indie Bound, IBNYC, and the Brooklyn Book Festival! Dude, it's a fun day in link land. The IndieBound project has launched its social networking arm: the IndieBound Community. The beta tests were successful, and now anyone can sign up to become part of the community. Not only can you connect with other book lovers, you can also become a "fan" of your local indie stores (book and other), and start conversations around them. 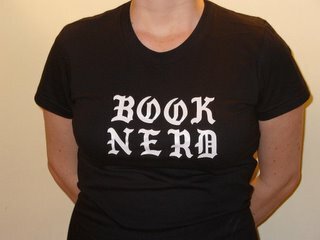 I'm on already as booknerdnyc, just like I am on Shelfari, LibraryThing, GoodReads, and LinkedIn -- so friend me already! Luckily, most of my "virtual friends" are also real-life friends/colleagues, so I don't feel like I have multiple social/professional lives to keep track of. And this one is especially cool as it lets me add stores to my network -- I'm excited about the possibilities, and I'll be reaching out to others to join up. And I can't wait until my own bookstore is one of those options! "Recognizing the common opportunities, virtues and values they share, New York City’s independent booksellers have united to raise awareness of the contributions their stores make not just to the local economy, but to the literary and cultural fabric of the city. Representatives from twenty stores met recently and formed the Independent Booksellers of New York City (IBNYC) – a group that is voluntary, non-exclusionary and cooperative in design. Member stores must primarily sell books, have a storefront that is open to the public, and be located within one of the five boroughs. The IBNYC’s primary goal is to encourage New Yorkers and visitors to patronize independent bookstores. The group will serve as a resource for consumers (producing events and tools like a website and printed maps); as a professional support group for member businesses both longstanding and brand new (a rare forum for sharing methods and best practices); and as an advocate to publishers and lawmakers on behalf of bookseller concerns." Ah, the Brooklyn Book Festival, when a borough's fancy turns to books! In addition to the IBNYC, there will be booksellers, publishers, authors and commentators from not only the five boroughs but all over the world: booths with everything bookish you could wish to buy, and a full day of programming including readings, discussions, writing contests, activities, and tons of thrills for bookish kids and adults alike. Yours truly will be moderating a graphic novels panel discussion on the Youth Stoop stage at 3:00 PM, and sporting the Book Nerd t-shirt so you can yell your comments at me if you happen to see me prowling the booths. It's a heck of a time in the old town -- hope to see lots of you there!